Laser Therapy - Lakeland Animal Hospital, P.C. Laser therapy provides a non-invasive, pain-free, surgery-free, drug-free treatment which is used to treat a variety of conditions. It can be performed in conjunction with existing treatment protocols. Relief and/or improvement is often noticed within hours depending on the condition and your pet’s response. 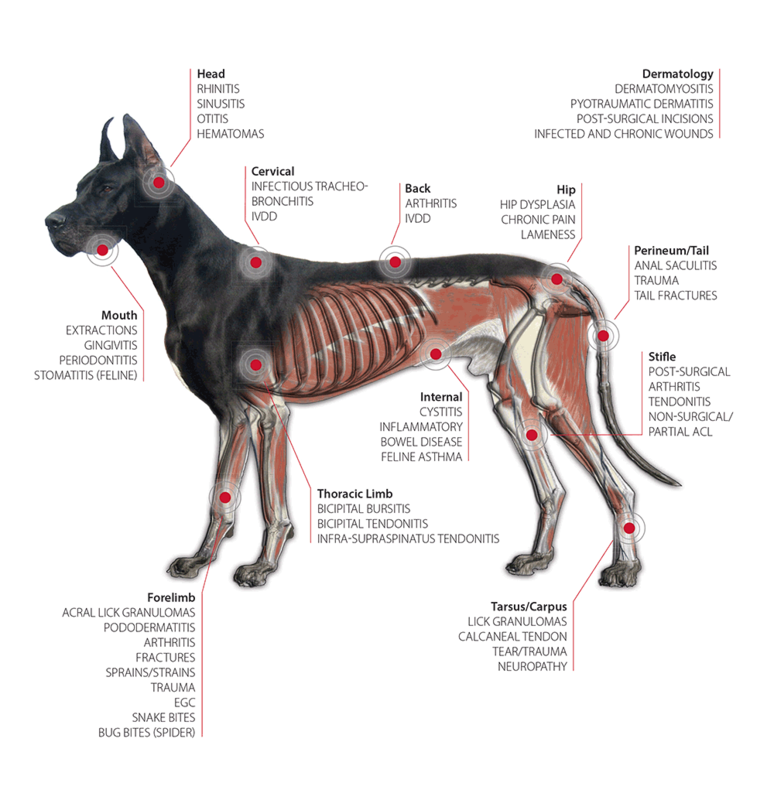 Whether your pet is rehabilitating from trauma or injury, healing from wounds, or simply aging, your companion can benefit from this innovative approach to treating pain. You can also visit K Laser.com for additional information and some short videos about laser therapy.